17 Cheap (But Expensive-Looking) Vases You Can Buy on AmazonIncluding bud vases, bulb vases, and ceramic vases. 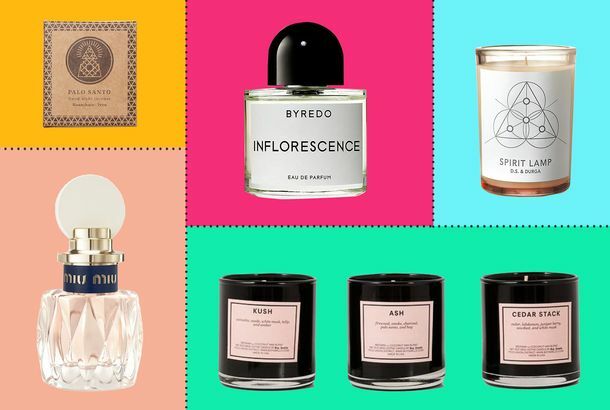 38 Nice-Smelling Mother’s Day Gifts for Moms With Discerning NosesWe’ve personally smelled all of these and can vouch for them. 12 Cheap (But Expensive-Looking) Umbrella Stands You Can Buy on AmazonNever misplace your umbrella again. 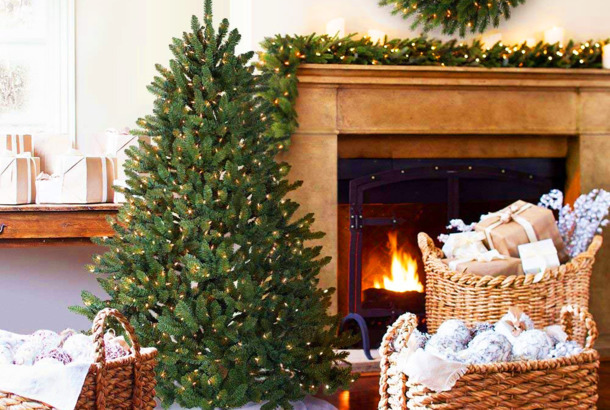 24 Cheap (But Expensive-Looking) Living Room Decorations You Can Buy on AmazonFrom a circular mirror to a Jonathan Adler vase. 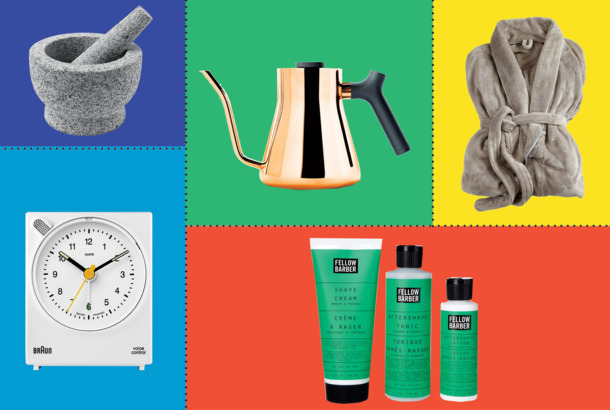 30 Mother’s Day Gifts Under $25 (That You Can Buy on Amazon)Including a bath tray and a status candle. 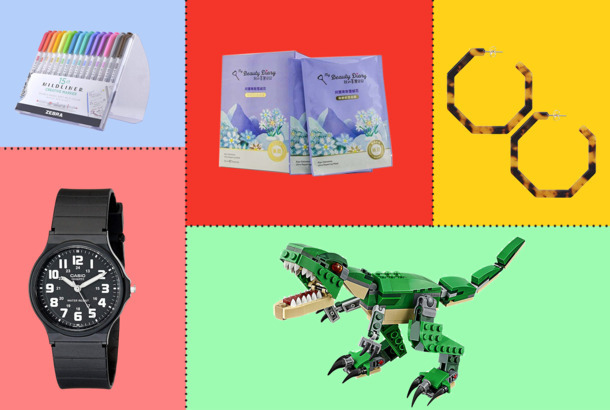 The Best Mother’s Day Gifts for New Moms (That You Can Find on Amazon)Time-savers and little luxuries for sleep-deprived parents. 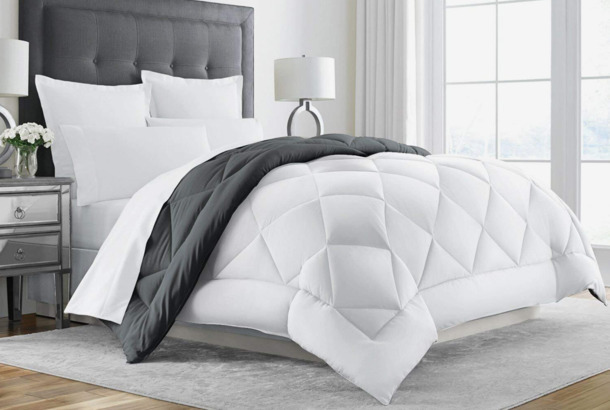 27 Cheap (But Expensive-Looking) Bedroom Décor Items You Can Buy on AmazonFrom a green clock to a Supremes poster. The Best Mother’s Day Gifts for Moms Who Love to CookFrom the health-obsessed to the dessert-loving. 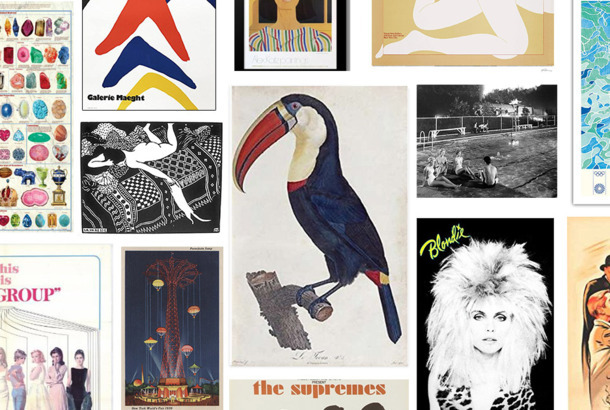 25 Posters We Found on Amazon That You’d Actually FrameIncluding an Alex Katz, a David Hockney, and a crazy-haired Blondie. 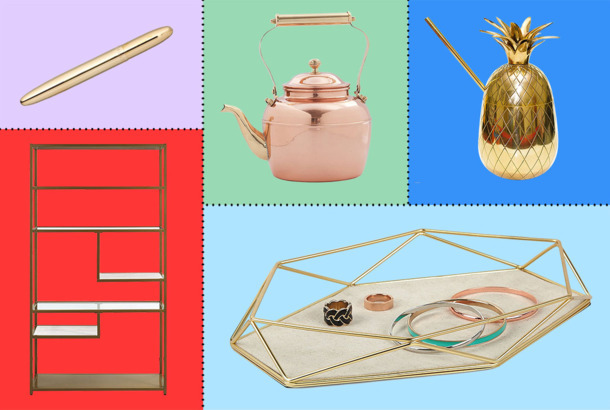 18 Cheap (But Expensive-Looking) Brass Things on AmazonLamps, trays, pens, lighters, and much more — all in brass. 33 Cheap (But Expensive-Looking) Nursery Décor AccentsIncluding a sloth pillow, a polka-dotted rug, and a silent wall clock. 32 Cheap (But Expensive-Looking) Kids’ Bedroom DecorationsA cow-print stool, a cloud rug, and a sparrow mobile. 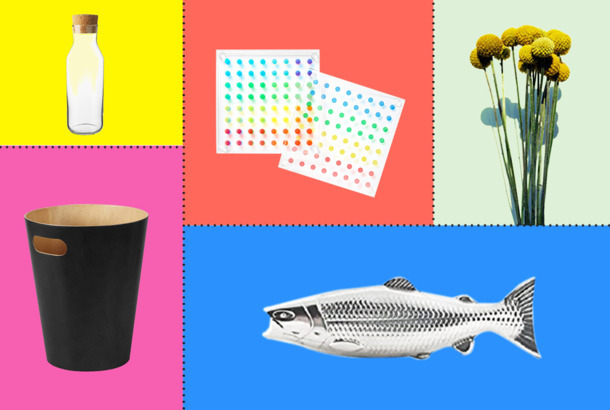 20 Cheap (But Expensive-Looking) Desk Accents That You Can Buy on AmazonFrom a Noguchi look-alike to a tin of Maldon. 15 Cheap But Expensive-Looking Magazine Racks (That You Can Buy on Amazon)From architectural wooden stands to clear acrylic ones. 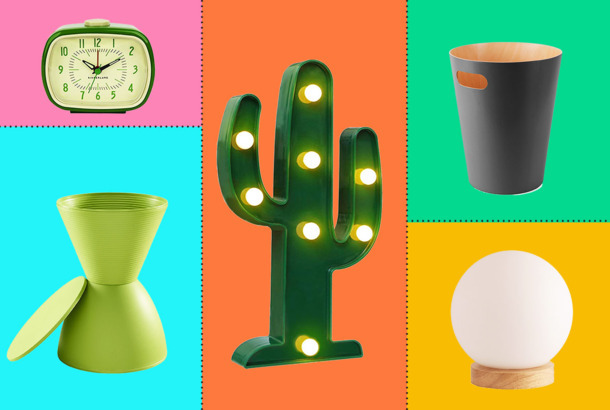 Cheap (But Expensive-Looking) Plant Accoutrements You Can Buy on AmazonIncluding a pink glass mister, a sunny-yellow watering can, and a bevy of handsome plants. 18 Expensive-Looking Coffee Tables Under $200 (That You Can Buy on Amazon)Because you need someplace to display your very sophisticated taste in Assouline titles. 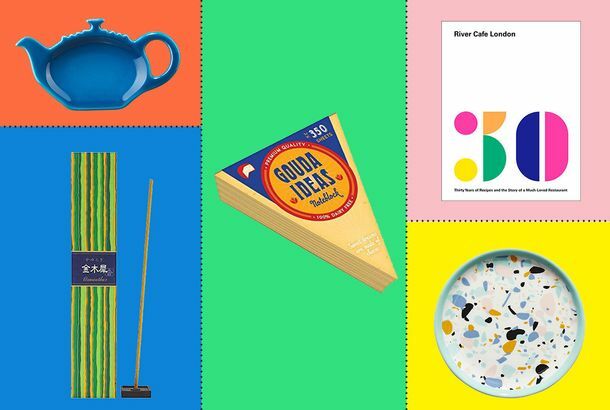 20 Cheap (But Expensive-Looking) Dinner Party Accents You Can Buy on AmazonIncluding cobalt glass plates and a cheerful glug jug. 17 Cheap (But Expensive-Looking) Chairs You Can Buy on AmazonMid-century modern dupes, ghost chair look-alikes, a green velvet armchair, and everything in-between. 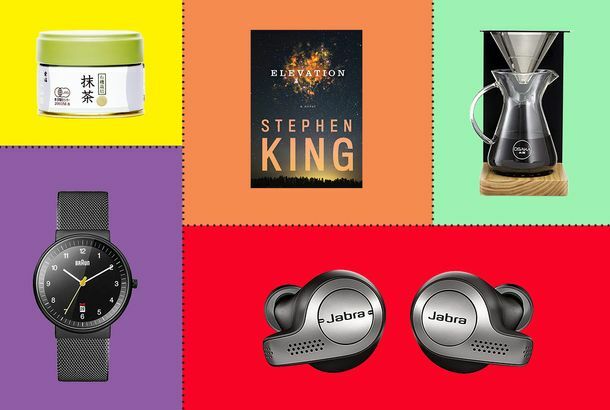 37 Valentine’s Day Gifts for Every Type of Man (That You Can Buy on Amazon)A cannabis-scented candle, a Braun watch, and real-deal Japanese matcha. 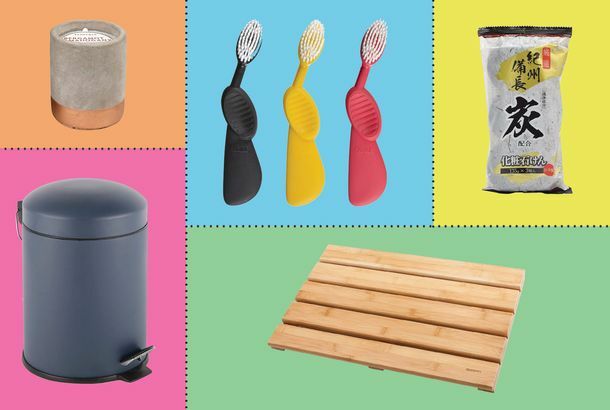 The Best Valentine’s Day Gifts Under $25 (That You Can Buy on Amazon)Including a hedgehog brush and a status water bottle. 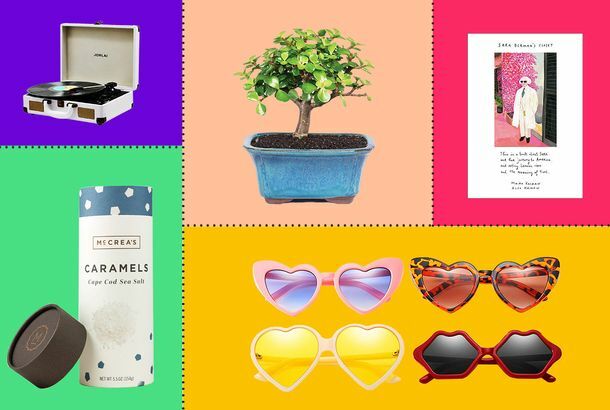 36 Valentine’s Day Gifts for Every Type of Woman (That You Can Buy on Amazon)From a bonsai tree to a delicate locket necklace. 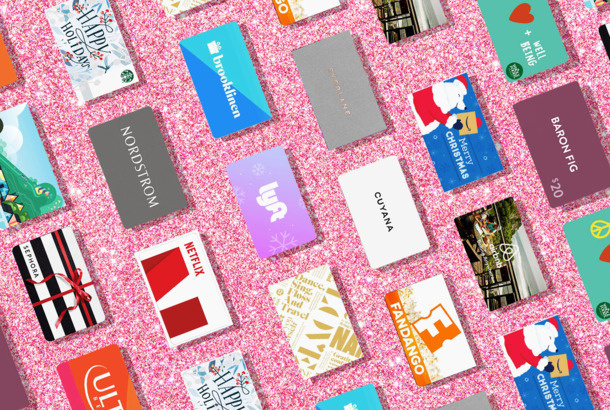 The Best Valentine’s Day Gifts Under $50 (That You Can Buy on Amazon)Including a bourbon-scented candle and a giant gummy bear. 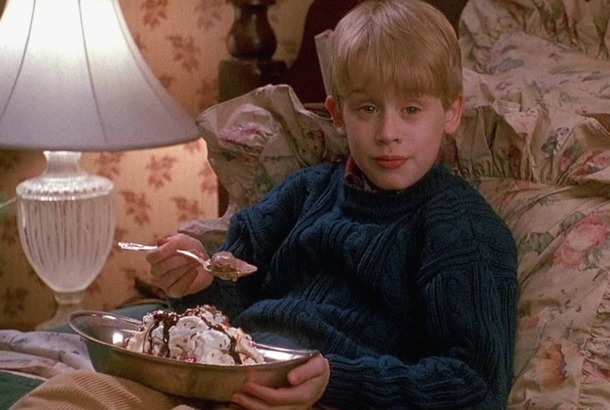 15 Better Snacks for a Better Super Bowl Party (That You Can Buy Online Now)For those who care more about food than football (and don’t want to leave the house). 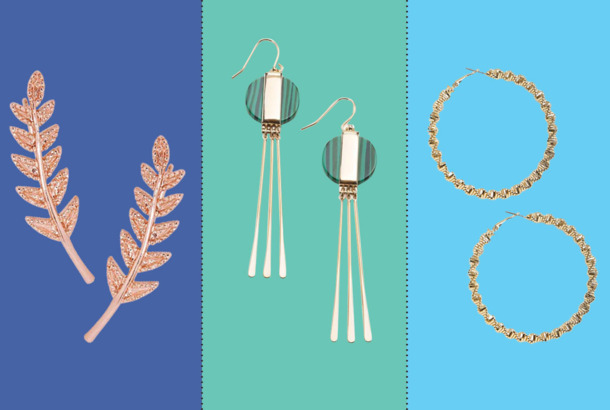 Good Valentine Gift Alert: 50 Expensive-Looking Earrings Under $50We’re living in a golden age of cheap earrings. 38 Cheap (But Expensive-Looking) Kitchen Accents on AmazonIncluding an Umbra soap pump, matryoshka measuring cups, and a vintage timer. 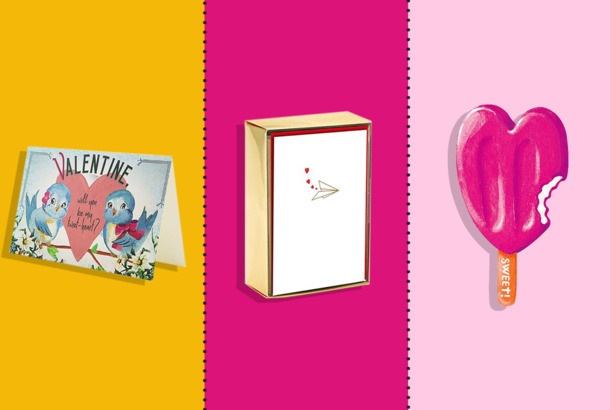 38 (Unusual, Funny, Artful, Tasteful) Valentines You Can Buy on AmazonDon’t just go to the drugstore. 11 Highly Topical, Last-minute Halloween Costumes (That You Can Buy on Amazon)Culturally relevant and easy to buy. 29 Cheap (But Expensive-Looking) Apartment Accents on AmazonIncluding a napkin holder for the cost of a Sweetgreen salad. 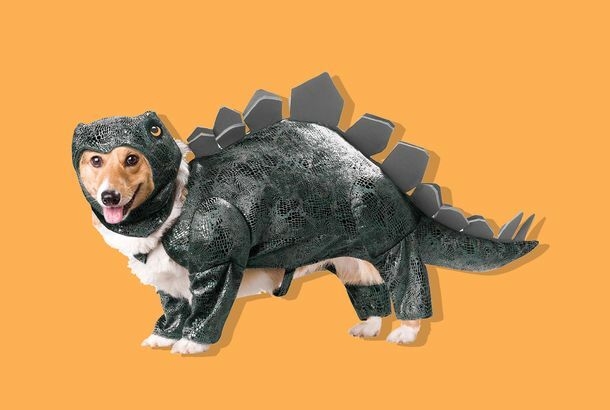 The 10 Best Dog Halloween Costumes on Amazon, According to ReviewersStegosaurus, pope, and tuxedo costumes for your pooch. 27 Birkenstocks for Every Type of PersonHere are 27 Birkenstocks, from the classic Arizonas to a Rick Owens collaboration, for every type of person. Underwear From Around the World (That You Can Buy on Amazon)Whether you’re in need of basics made of organic cotton or delicate sweet nothings for a special evening in, we’ve got you (skimpily) covered. How to Throw a Last-Minute, France-Themed World Cup PartyWant to throw a last-minute World Cup party for all your Francophile friends? We’re here to help get you started. 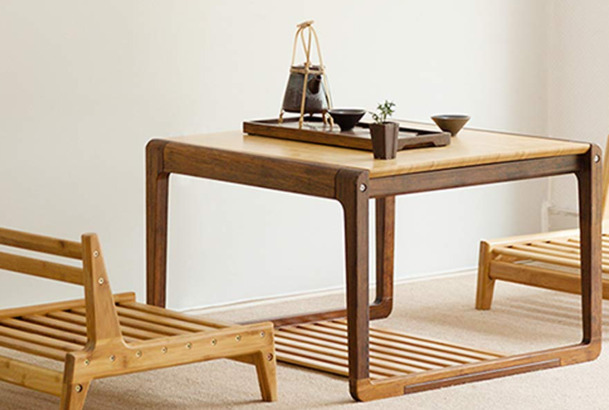 What to Buy in These Linen-Obsessed TimesIt’s like nature’s technical apparel, and it’s being used by a crop of new and young designers. 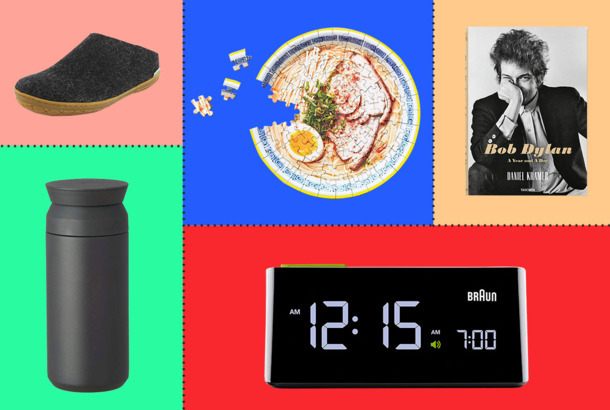 51 Last-minute Gifts That Will Arrive by Father’s DayFrom an Areaware flask to a Jack Spade toiletry kit and standing-desk converter.